Looking for Personal Loan? Here is we are sharing bank wise Personal Loan Interest rates. This will help you to short list the best among the personal loan and will choose to help which personal loan is best. Before getting the Interest Rates of personal loan, we are giving you the eligibility criteria, benefits and other charges of Personal Loan. Personal loan, as its name suggest, it is for personal use. Like we have home loan, vehicle loan, education loan etc, in which you need to mention your purpose to get loan, i.e the money to borrow for home loan, you can't use it for anything else, as money from bank will be directly credited to your contractor. Likewise, Personal loan is for the thing which is not for home, vehicle or education. For example, you need urgent money to give someone, to buy gold, just for liquidity, or for anything for which you need money. If you want to travel somewhere urgently, you can take personal loan, you need money for marriage, you can have personal loan. Personal loan can solve your instant problems. But as personal loan provides you instant financial help, it cost you more (and the reason bank people are always ready to give you personal loan, even will call you again and again to take personal loan). Personal loan is one of the costliest loans after credit card loan and education loan. If you have so many emergencies than only take personal loans, else avoid it. The cheapest personal loan will cost you 12.75% per annum. Is it convenient to take personal loan? As mentioned earlier, Personal loan cost you more than anything. If you make priority to return loan amount, personal loan will be on first of the list. If you need money to buy new home go for Home loan as home loan available at 9% interest rate while personal loan 13%. Also, some of the personal loan comes with floating rate change, which is even more costly than fixed interest rate. 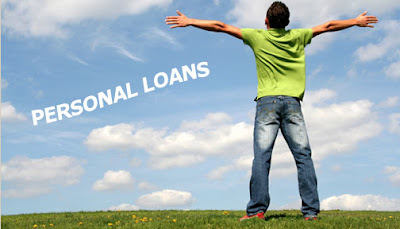 Personal loan is good as solves your emergency financial problems and cost you much more for this facility. Personally, we advised you to not to take any such personal loan, but it is unavoidable, go for it and pay it as soon as possible. Do check the Personal Loan Interest Rates, and which ever for you eligible, ask for low interest rate (Than high amount as sometimes bank people will offer you more amount than lowering interest rate). AND PAY YOUR PERSONAL LOAN as soon as possible. Note :- Interest rate as on 25th March, 2016.